We tested the Nissan Micra dCi Puredrive through 1,096 kms over five days en-route some of the exotic locations in Maharashtra. First, on the way towards Sula Vineyards in Nashik. Second, on the way towards Kas Plateau in Satara district. 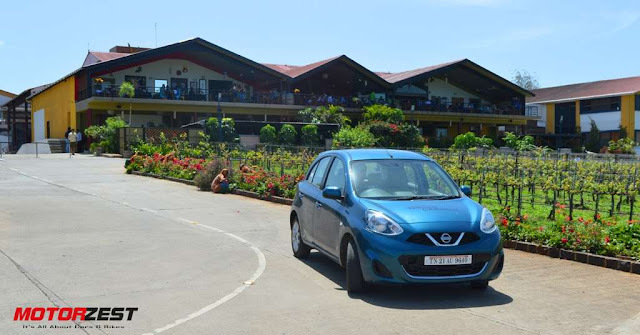 The objective of these trips was to assess the Micra's engine, performance, ride quality, comfort and convenience over long journeys. So, was the Micra good enough? Lets find out. We tested the diesel variant of the Micra - the Micra dCi XV. 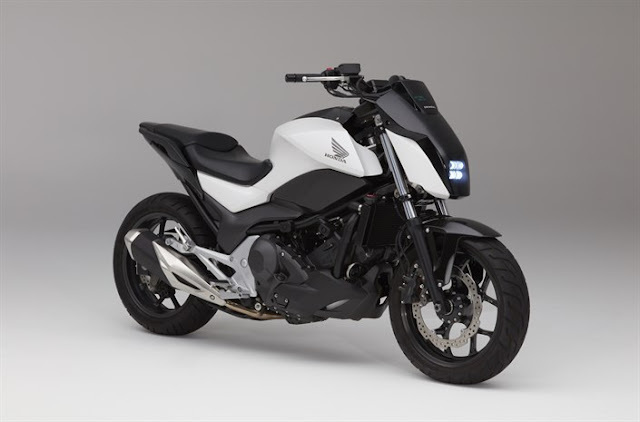 It comes factory fitted with a 1,461cc diesel engine which produces 64 PS of max power and 160 Nm of max torque packaged with a manual 5-speed gearbox. These figures are pretty much unimpressive as compared to its competitors the VW Polo and Hyundai Elite i20. The Micra XV diesel retails at INR 7.50 lakhs (ex-showroom Mumbai) at par with its competition. Nissan, unfortunately, does not offer an automatic gearbox for any of the diesel Micra variants. 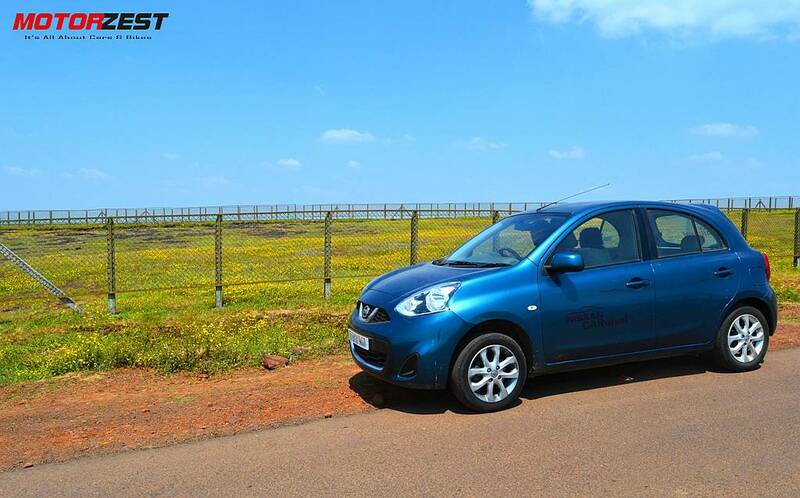 The first round of trip from Mumbai to Sula Vineyards and back spanning 415 kms was covered in one single day with around 7 hours of driving. One has to take the NH 3 to reach Nashik from Mumbai. The NH 3 was stricken with potholes and is a bit narrow around 70 kms at the Mumbai end. There is a twisting and winding up and downhill climb on the Kasara Ghat - a two-lane single direction well maintained road. 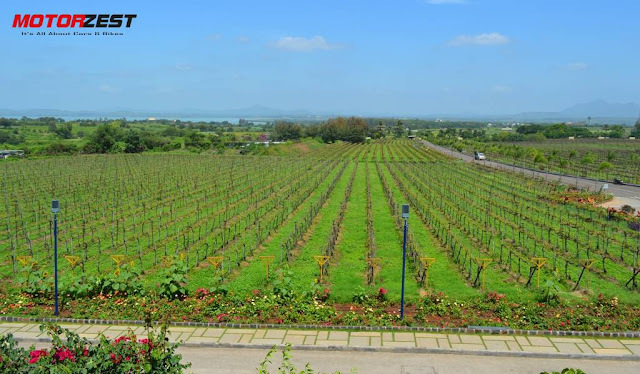 The destination, Sula Vineyards, is a spectacular structure located in a sparsely populated village-like area in Nashik. Big vineyards greet you as you enter into the vast property which houses a resto-bar, wine tasting rooms, takeaway shop and a wine manufacturing unit at the back. The second trip, after a 3 day hiatus, from Mumbai to Satara and back was even more intense with 681 kms being covered again in one single day with around 11 hours of drive time. 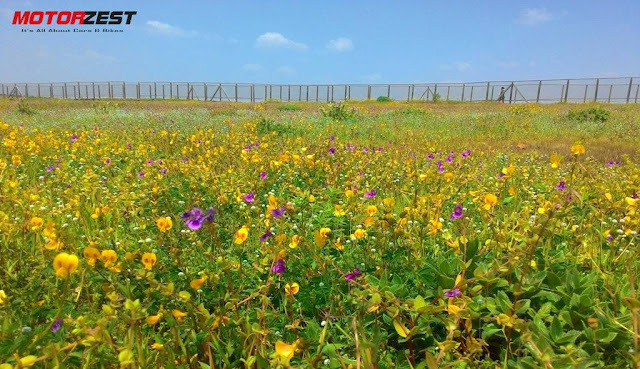 The Kas Plateau, also known as Kas Pathar, in Satara District is located at around 1,200 mts above the ground level and spans almost a 1,000 hectares. 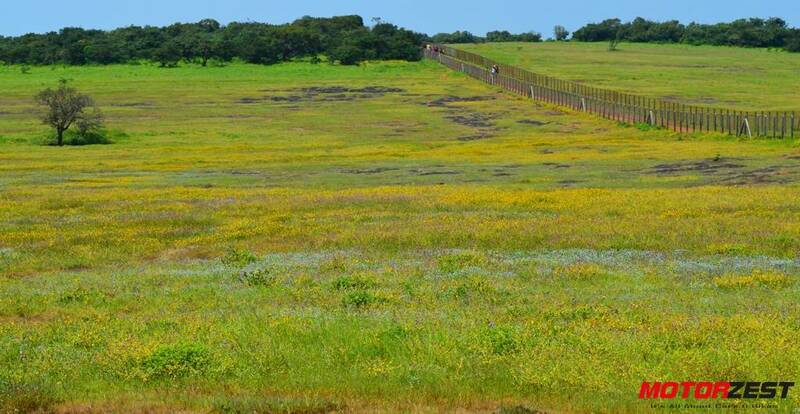 The Kas Plateau has been declared as Biodiversity World Heritage Site by UNESCO. It is home to more than 850 species of exotic flowers and is it real treat for the eyes during the months of August to September. 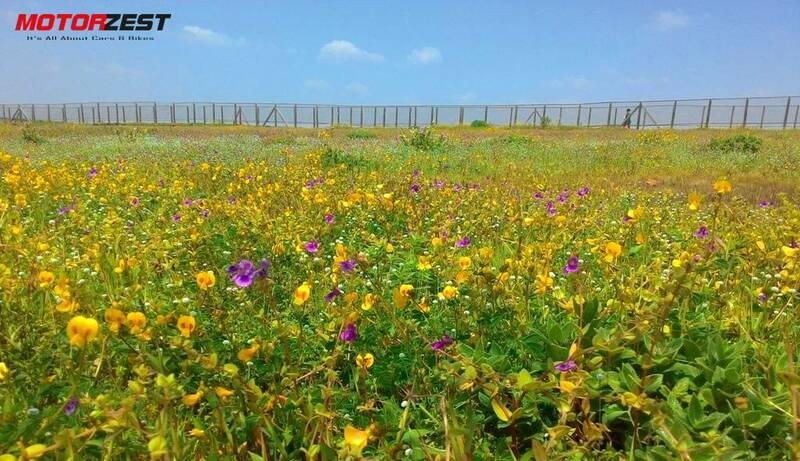 There is a long and winding 22 kms up hill road that you need to take to reach on the Kas Plateau from the crowded main centre of Satara city. The entire journey had a perfect mix of superfast expressways (the Mumbai-Pune Express Way), the long multi-lane NH 4 which had countless diversions for under-construction flyovers, the narrow roads of Satara city and the uphill winding patch to reach Kas Plateau to completely test the Micra out on a loaded trip. The Micra scores very high on this front. Throughout both the journeys the seats were quite comfortable for all passengers including the driver. The only complaint was for the middle seat at the back which is not sculpted for a 5th person and not as comfortable as the other 4 seats. This is pretty much the same case with any modern car, the rear seats are sculpted for just 2 passengers but can fit 3. The drivers seat is height adjustable which makes it even more comfortable for drivers with different heights. 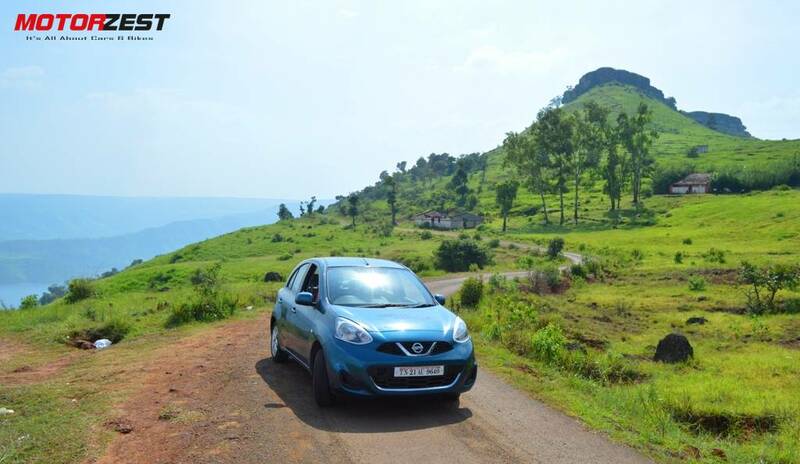 The ride quality of the Micra was what impressed us the most and it handled all kinds of roads pretty well. On long journeys the ride quality of the car matters a lot especially on Indian roads and the Micra shines bright with its great suspension and a great chassis. You need a car with a superior ride quality to reduce physical fatigue, maintain a higher average speed for the journey which helps in putting more miles in a single stretch of non-stop driving. It is always advisable to take small 15-20 mins break after every 2 hours of non-stop driving. Another aspect of comfort is a good air-conditioning system. You don't want to travel in a car which fails to or eats lot of fuel to keep you cool inside during a typical hot Indian afternoon long drive. The Micra's automatic climate control A/C system was powerful enough to keep all the passenger's inside cool when it was hot and humid outside. Long drives can be tiring and taxing for the driver. It is important that the car is not only quick but is effortless to drive. You need the clutch to be light, steering to be accurate, gearshift to be smooth and enough torque throughout the rpm range to reduce the number of gearshifts during the journey. Not to forget, the car needs to have strong brakes especially fitted with ABS. The Micra's top speed isn't as high as its competitors but it can cruise effortlessly at speeds between 100 - 120 kmph which are good enough for long journeys. The diesel unit has enough punch to add some excitement to the long and boring journeys. In short, the engine is good enough to munch the miles without putting you to absolute boredom. The XV trim comes fitted with the ABS which adds a lot of confidence while braking hard. While cruising at high speed on wide expressways, you need to have good brakes to tackle an emergency situation. 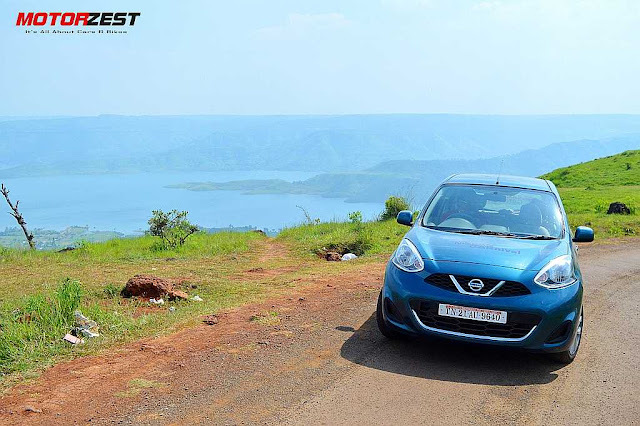 The Micra passes the both the test - engine and brake performance. Having a good steering wheel is also important for long journey - it shouldn't be too light neither should it be too hard. Micra's steering gives lot of confidence tough it is slightly on the heavier side. The electronically controlled power steering is light enough at low speeds and becomes stiff enough at high speeds on the expressways. Long trips demands few major things such as ample boot space, a good music system and plenty of small storage spaces for your bottles, cans, accessories and toll tickets. The Micra's 251-litre boot space is big enough for a hatchback and can comfortably fit big size luggage bags. The XV variant packs in a bluetooth enabled music system with 4 speakers (2 in front and 2 at the back) with decent sound quality to enjoy music on the go. Additionally the Micra features AUX port, USB slot and Audio Controls on the steering wheel making it a very convenient to play your songs as well as connect your mobile to the system to receive calls while driving. The highlight of convenience in the Micra was the keyless entry and start-stop button. You never need to take that key out of your pocket to open and start the Micra. Keep the key in your pocket the whole time, just press the small black button on the door handle to unlock and lock the Micra. Once inside just press the Start button and hit the road. The Micra even had automatic folding side mirrors! The Micra surprisingly has plenty of small storage spaces in the front for your bottles, toll tickets, mobile, coins and other stuff. The only thing that caused inconvenience was the oddly positioned internal mirror adjustment switches. Another feature that was missing in the XV variant, but present in the top end XVP variant, was the rear parking sensors. The XVP variant comes with a rear view camera for parking assistance, while the XV does not even get the basic sensors. If comfort, convenience and performance is important on long journeys, then safety is the even more important on such long trips especially when the route consists on superfast multi-lane expressways and the dangerously winding ghats. Nissan packs a good amount of safety features in the Micra. The XV variant comes with ABS (Anti-lock Braking System) with EBD (Electronic Brake-force Distribution) and BA (Brake Assist) and also packs 2 airbags - one for the driver and one for the front passenger. If you have to brake aggressively, the Anti-lock Brake System limits wheel lock-up to help maintain control and stability while the Electronic Brake-force Distribution manages brake load at the wheels and the Brake Assist helps apply maximum braking when hard braking is detected. The Micra might not the be the most powerful diesel hatchback in the market but it certainly is very comfortable on long journeys and we had very little to complain against it.